We are happy to answer any questions you may have. A few frequently asked questions are discussed below. Chiropractors see people of all ages from all walks of life. Everyone can benefit from having a spine free of subluxations, thus allowing a healthy body. We work with newborn babies, children, pregnant women, sports people, and adults of all ages including the elderly. The techniques we use will often vary due to the age and the needs of our clients. A subluxation occurs when one or more vertebrae (spinal bones) lock up and loses proper free movement. When this happens pressure may be placed on the nerves carrying information between the brain and body, ultimately affecting the performance of the body. Physical Stress such as a car accident, fall, sports injury, prolonged poor posture, or birth. Emotional Stress for example getting tense, upset or angry. Chemical Stress from toxins in the environment, smoking, alcohol or medications. The only way to correct subluxations is a chiropractic adjustment. Massage and exercise, while beneficial, will not correct these problems. Many different techniques are used depending upon the chiropractor and the patient. Some techniques involve applying a very quick, specific thrust into the joint, others utilize adjusting instruments that apply a very gentle specific force, and others use special adjusting tables with pieces that drop away. If you are worried about being adjusted, don’t like the noise, or have preferences then please let us know. Your preferences will always guide us as to which techniques we choose. See our technique section for more information. In 1979 the New Zealand Commission of Inquiry into Chiropractic released their report after over 18 months of research. They concluded that spinal manipulation in the hands of a registered chiropractor is “remarkably safe”. They also commented that “chiropractors are the only health practitioners who are necessarily equipped by their education and training to carry out spinal manual therapy”. The risk of serious complications with neck adjustments have been estimated at 6.39 per 10 million adjustments, and for lumbar adjustments only 1 serious complication per 100 million. Compare this with the use of NSAIDS (anti-inflammatory drugs) where the risk has been put at 3.2 per 1000, or cervical spine surgery where the risk is 15.6 per 1000. This research suggests that anti-inflammatory drugs are over 5000 times more dangerous than a chiropractic adjustment to your neck! Reference: “Efficacy and Risks of Chiropractic Manipulation: What Does the Evidence Suggest?” by Ian Coulter, Ph.D. Journal Integrative Medicine, volume 1, number 2, pp.61-66”. Do I need to keep coming forever? 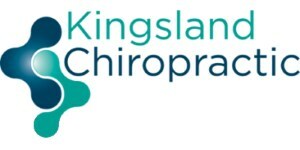 At Kingsland Chiropractic we work with you to determine the best course of care for you. For some people this will be short-term pain relief, others require more intensive correction, and others see chiropractic as part of their regular healthcare routine. We will always recommend the best options for your health, but ultimately the choice is yours. At Kingsland Chiropractic we determine the need for x-rays based on the information gathered from your health history and examination. Our clients are not all x-rayed as a matter of routine. If x-rays are required to provide you with safe chiropractic care then you will be given a referral to a local radiology clinic. Absolutely! The techniques used are vastly different from those used to adjust adults; babies can often remain asleep throughout a chiropractic check. We recommend that babies get checked as soon as possible after birth. See our section on children for more information. I don’t have any pain. Should I still get my spine checked? Definitely! Spinal checks are a little like having your car serviced or seeing the dentist to make sure your teeth don’t decay. We want to make sure your body is working 100% the way it was intended to. Why wait until you break down? Less than 10% of your nerves are involved in transmitting pain information, so if these nerves aren’t affected by a subluxation you might not feel the problem; however many areas of your body may be affected and thus functioning less optimally.